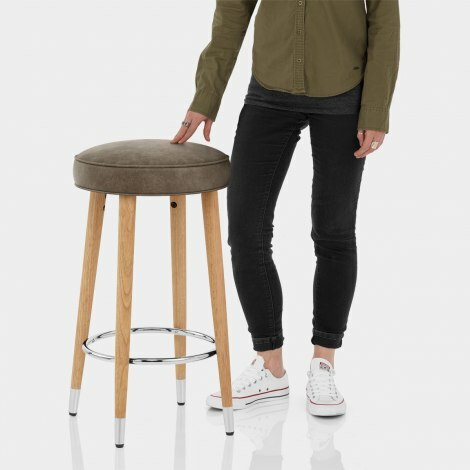 Fusing rustic design with modern chic, the Conrad Bar Stool Antique Brown will infuse your home with a unique sense of style. Sure to become a cool classic, the Conrad adds character to the bar area with its original look and practical features. 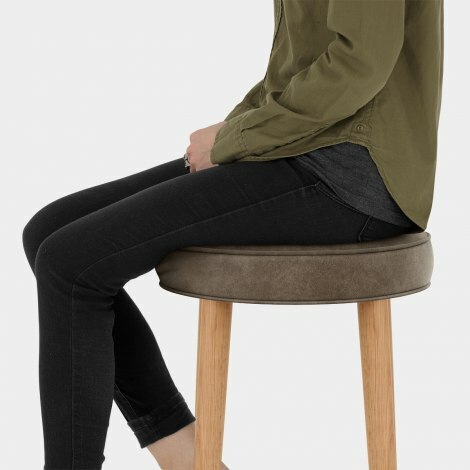 A compact yet comfortable design, the rounded seat is upholstered in antiqued brown faux leather to complement the wooden frame. Plus, as a backless piece it can be tucked away after use. The rounded solid wood legs set the stool at kitchen counter height and they are polished with a divine oak finish for classic style. Meanwhile, a circular chrome footrest and matching chrome tips add a modern touch. Protective floor plugs are a final practical addition to the frame.